ConnectCard is Westmoreland Transit’s new smart card fare collection system. It uses a plastic smart card called a ConnectCard with a computer chip inside that can store a variety of passes and other fare options. What are the benefits of using ConnectCard? Convenience. With ConnectCard, riders can load passes or cash value at several different locations. Security. Customers are able to sign up for Balance Protection in case their ConnectCard is ever lost or stolen. Service. 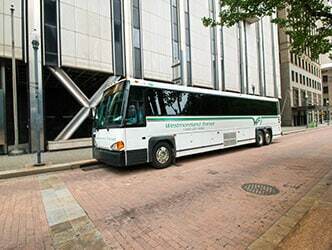 The ConnectCard system will allow Westmoreland Tranist to collect data that will help them with studying routes and schedules to better meet riders’ needs. ​Balance protection preserves the value on your ConnectCard in the event it is lost or stolen. This protection enables WCTA to deactivate your old card and transfer your remaining balance to a new ConnectCard. ​Adding passes and stored value (cash) to a ConnectCard. Monthly and 10-trip passes are available with a ConnectCard. Riders may store these passes on their ConnectCard instead of receiving paper tickets. Stored value (cash) may be loaded onto a ConnectCard. This option works just like cash, and can be used on different transit systems in the region that use ConnectCard. It may take up to 24 hours after purchase before your ConnectCard is active. Hand your ConnectCard to the clerk. ​The clerk will add a monthly pass, 10-trip pass, or stored value (cash) to your ConnectCard using a ConnectCard retail sales terminal. Riders are able to add a monthly pass, 10-trip pass, or stored value (cash) to their card from any computer. Using your ConnectCard to pay your fare. ​When you board the bus, simply tap your ConnectCard to the orange target on the farebox. Be sure the target light is green and the correct fare is displayed before tapping your card. Listen for the tone and look for the display message. If the triple tone persists, your card may not be functioning properly or it may be invalid. ​Please contact WCTA at 1-800-221-9282 for assistance. Where Can You Go With Us? Components of your ConnectCard can become damaged. Follow the below tips to keep it working properly! Keep the card in a safe place to ensure that it doesn't become scratched or cracked. Be careful not to get it wet. Do not punch a hole in it to put on a lanyard or keychain. Keep your ConnectCard seperated from other smart cards when tapping it to the farebox. Another smart card won't damage your ConnectCard, but it could prevent the farebox from reading it accurately. Contact Westmoreland Transit through the form below with the card’s serial number (located at the bottom left corner) so we can research the problem. 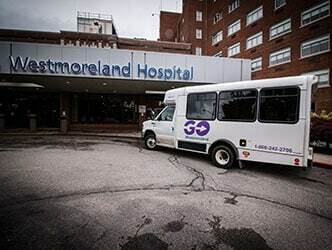 If possible, record the date, time, and vehicle number of the bus to help Westmoreland Transit resolve the issue.